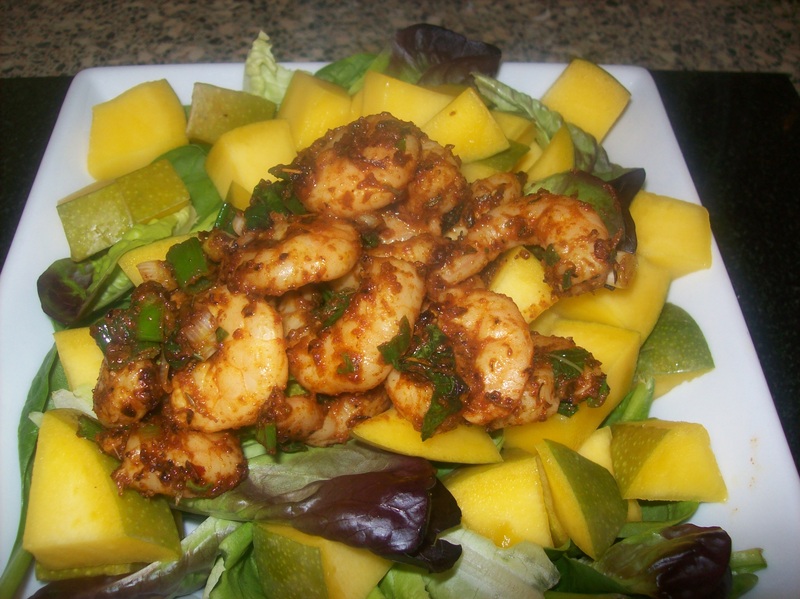 Recommendations | Life's Conundrum - Eat to Live or Live to Eat? I absolutely enjoyed pulling together a stir fried vegetable dish for lunch today. As previously mentioned there are a few cupboard essentials when wanting to make Chinese food taste slightly more authentic (rice wine, rice wine vinegar, sesame oil) and today I want to add another one to the list – spiced black rice vinegar. 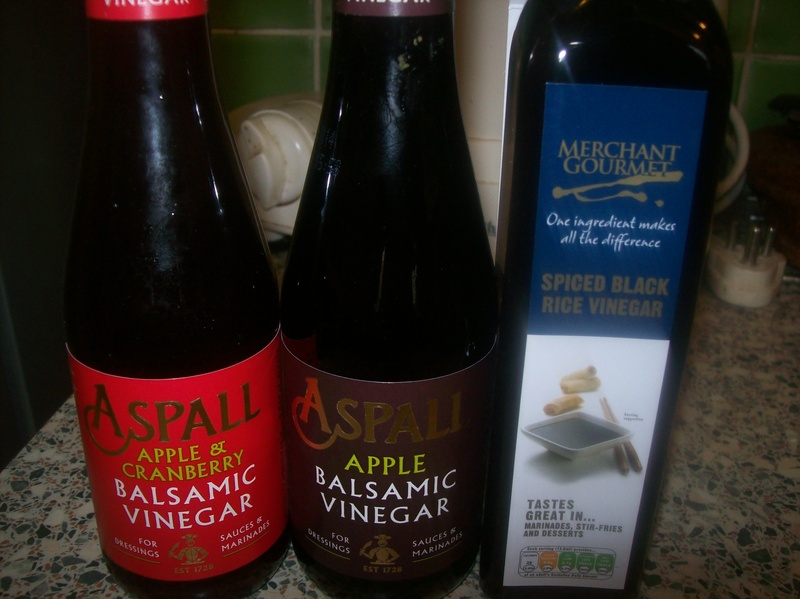 I was in my local Waitrose earlier today and was browsing the specialty oils and vinegar aisle when I spotted three combinations I haven’t come across before – apple balsamic vinegar, apply & cranberry balsamic vinegar and black rice vinegar. I picked up all three and used the black rice vinegar in the stir fry. I am looking forward to using the other two in a salad vinaigrette soon. Heat wok and pour oil in once hot. Add ginger and garlic mince and stir for 30 seconds before adding the crushed red chili flakes. 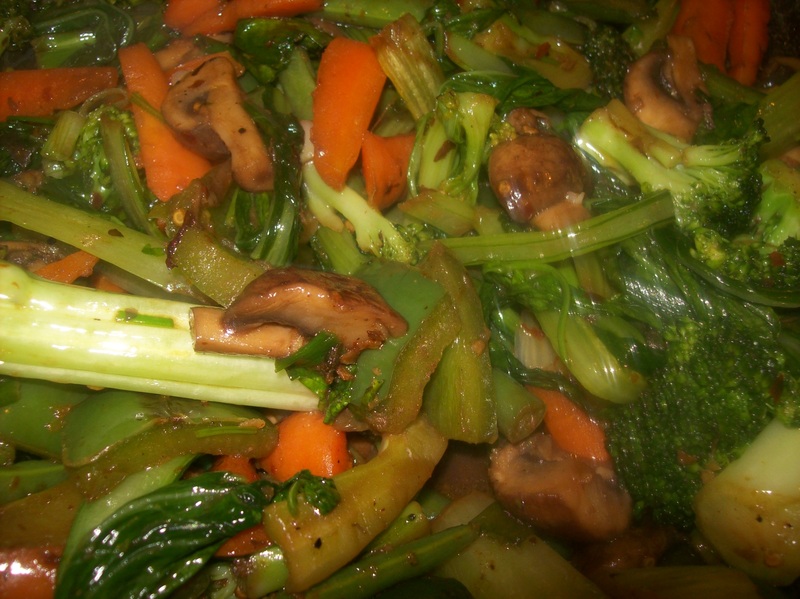 Stir for another minute before adding green pepper, celery, carrot, beans, mushroom and broccoli. Stir for five to eight minutes before adding the choi sum (choi sum only takes a couple of minutes to cook). Then add the rice wine, vinegar, soya sauce and white pepper. Adjust the seasoning before garnishing with spring onions and fresh coriander. Serve hot with rice or noodles. Sunday is the day I try to clear out our refrigerator. I usually find some tired and limp veggies lurking in the fridge and absolutely hate wasting them. Sometimes we buy packets of herbs for dishes we make during the week and often find that there is a bit leftover. A ll my leftover herbs go into my wholesome Sunday soup. Shiv and I try to make our soups interesting. He is a lot better than I am. I admit defeat when it comes to finesse. I am the pedestrian home cook and he is more the chef. My soup last Sunday had Moroccan flavours and a lot of vegetables which were saved and used before they rotted and had to be thrown away. I am not going to write a specific recipe for the soup because one can use any vegetable lying around in their refrigerator. 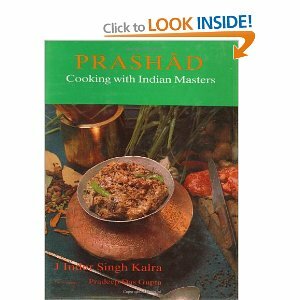 I used carrots, parsnips, broccoli, radish green peppers, celery, potatoes, mushrooms, onion, tomatoes, mint, fresh coriander a few curry leaves and garlic. I sautéed onion and garlic in a bit of butter. Just as they softened, I added a bit of salt and two teaspoons of Moroccan Rose Harrissa paste, a teaspoon of cumin powder and then all my vegetables and herbs. 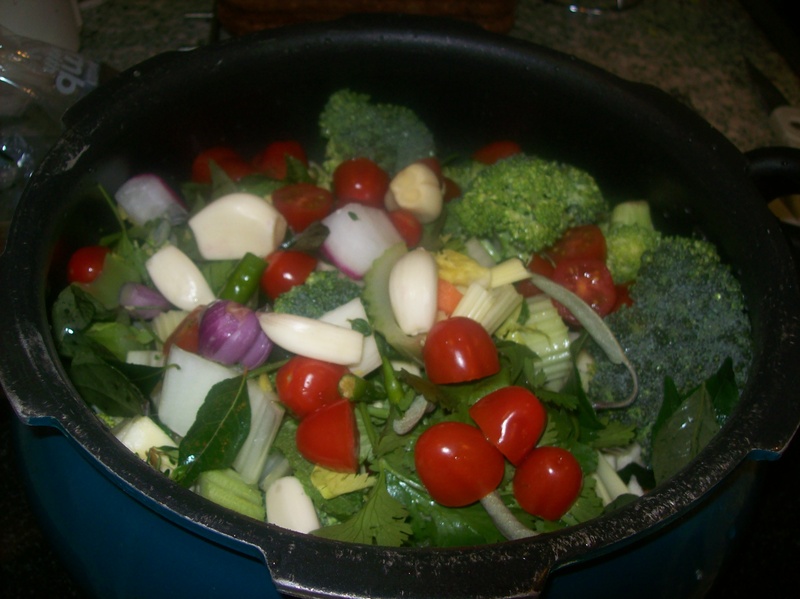 I then added about a liter of water and two vegetable stock cubes and cooked the vegetables till they were soft enough to be blended. Once blended I poured enough water to get it to my desired consistency and brought to a boil. For the garnish, I sautéed fresh Rosemary in butter. 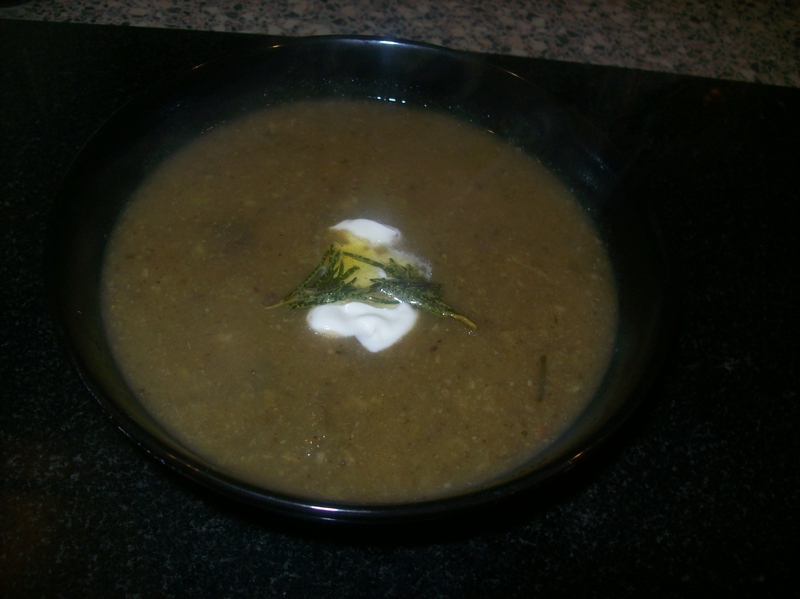 I served the soup with a dollop of soured cream with the Rosemary butter drizzled on top. 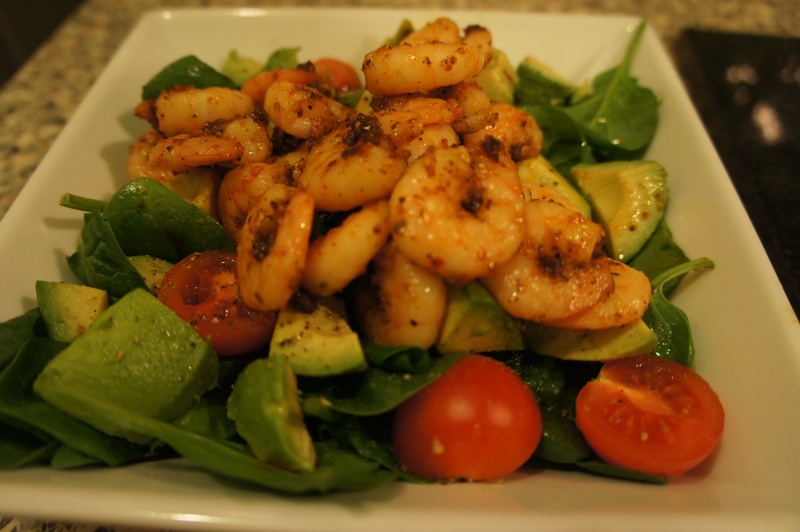 A delicious and healthy way to use up all my veggies. 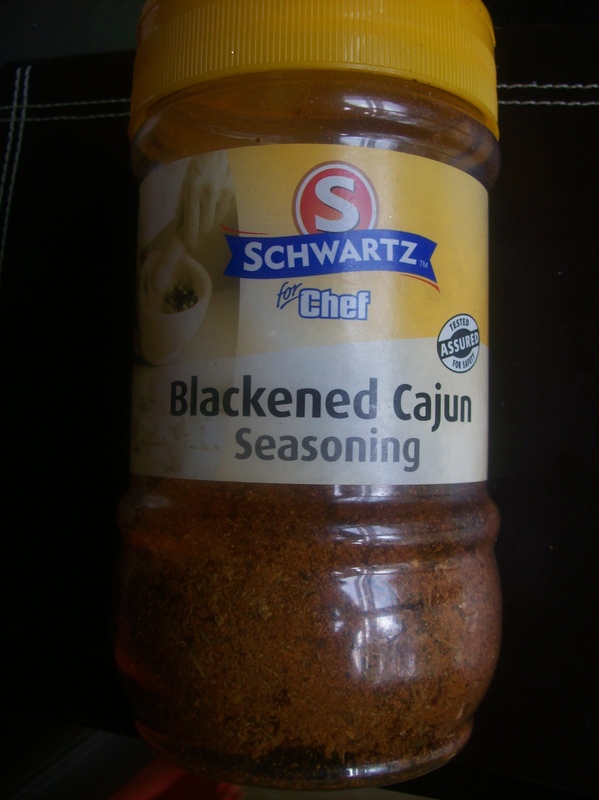 Anna and I often like to experiment with new spices with the hope of discovering the next best thing since sliced bread. We were recently picking up some groceries from our local Asian shop, Atif and my eyes locked onto a spice mix I had not come across before. 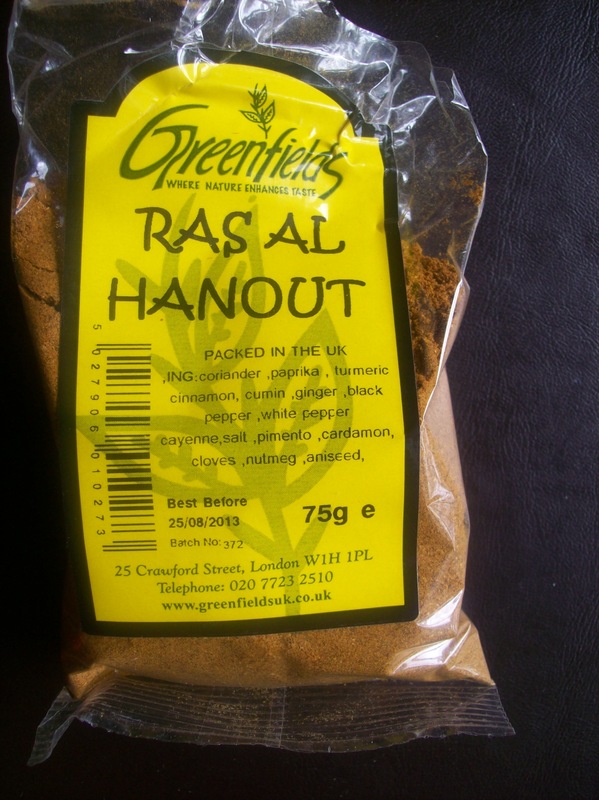 The name Ras Al Hanout sounded Moroccan/Arabic. We decided to pick it up and tried it as a marinade for fish (mixed a couple of teaspoons with olive oil to make a paste) and it worked a treat. The spice mix contains the following ingredients – coriander, paprika, turmeric, cinnamon, cumin, ginger, black pepper, white pepper, cayenne, salt, pimento, cardamom, cloves, nutmeg and aniseed (pretty much every spice under the sun!). Drop us a line if you’ve got any other spice mix suggestions.